The Election Commission has not self-assessed any of the polls they carried out, said Election Commissioner Mahbub Talukder. 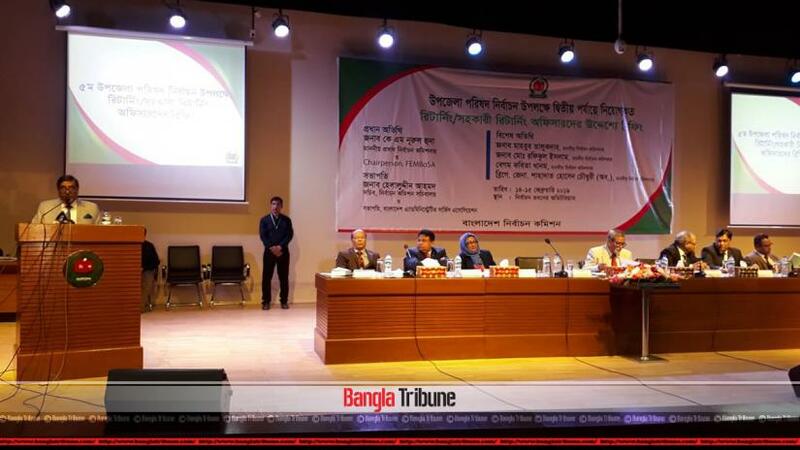 "This commission has carried out seven city corporation polls in addition to the national polls and all of you are aware of the achievements and failures of these polls," he said on Thursday (Feb 14) while briefing the returning officers and assistant returning officers on the upcoming Upazila polls. He added that the commission has not critically analyzed any of those elections. The commissioner urged the officials to correct their mistakes based on the experience of the past to ensure that "People have faith on the arrangements for the upcoming Upazila polls." “An election being participatory is given utmost priority but that’s merely a primary achievement,” he said. Saying that the Dec 30 polls lost credibility for not being all-inclusive, Talukdar added, that democracy can never be attained through one-party rule. “No matter what the political climate is like in the country, the polls have to be fair,” he said. He added that the commission itself does not expect the polls to be controversial and called on the election officials to carry out their duties with strict impartiality. He then asked them to work with the local administration and magistrates and judicial magistrates to present a credible Upazila election.